* All level of players are welcome (must be 19yrs to play). * Best to arrive 20 to 30 min prior to start time to register. * No entries 1 hour after start times. * Games typically last about 3 hours. * As always there is no buy-in for our pub games. We just ask our players to of course continue to support our host pubs. * Win a $20 Gift Certificate daily + earn points to qualify for the Vegas Vacation Prize Package. 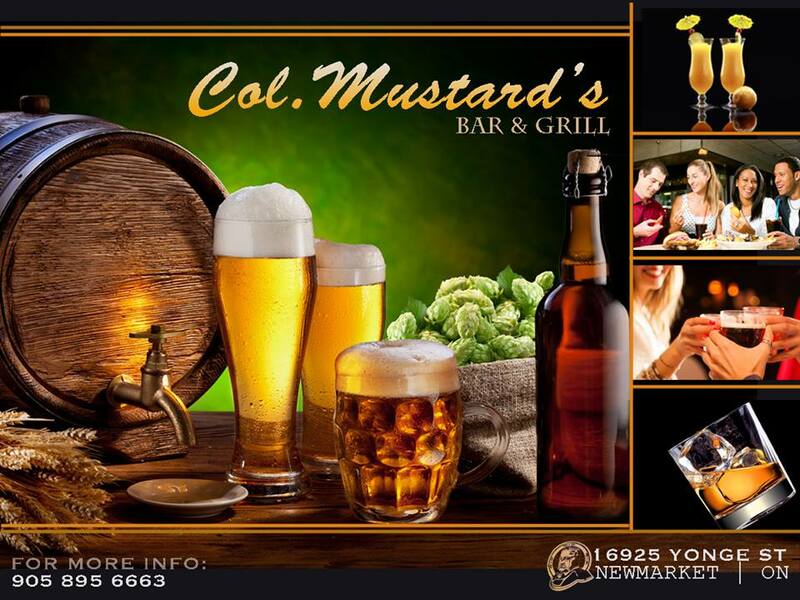 Sundays Col. Mustard’s in Newmarket hosts Hold’em/Fold’em Poker Tour’s free tournament. All level of players are welcome (must be at least 19yrs to play). Registration is at 12:30pm, and the tournament starts at 1pm and runs until 1 player remains (approx 3 hours). $20.00 Gift Certificate for Winner + earn points to qualify for the Vegas Vacation Prize Package. Aurora – Every Monday night at Father’s Moustache in Aurora. All level of players are welcome (must be at least 19yrs to play). Registration is at 6:30pm, and the tournament starts at 7pm and runs until 1 player remains (approx 3 hours). $20.00 Gift Certificate for Winner + earn points to qualify for the Vegas Vacation Prize Package. 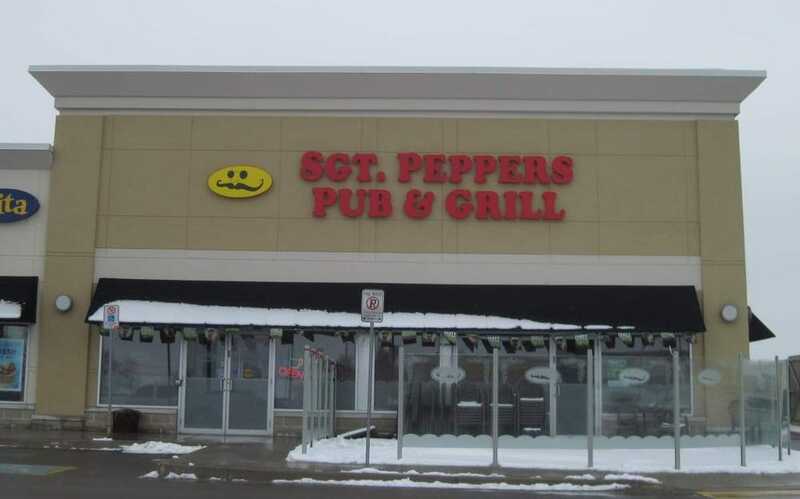 Tuesdays Col. Mustard’s in Newmarket hosts Hold’em/Fold’em Poker Tour’s free tournament. All level of players are welcome (must be at least 19yrs to play). Registration is at 6:30pm, and the tournament starts at 7pm and runs until 1 player remains (approx 3 hours). Winner receives a $20.00 Gift Certificate + earn points to qualify for the Vegas Vacation Prize Package. 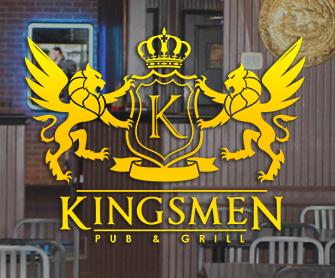 Tuesdays Kingsmen Pub & Grill in Pickering hosts Hold’em/Fold’em Poker Tour’s free tournament. All level of players are welcome (must be at least 19yrs to play). Registration is at 6:30pm, the tournament starts at 7pm and runs until 1 player remains (approx 3 hours). $20.00 Gift Certificate for Winner + earn points to qualify for the Vegas Vacation Prize Package. 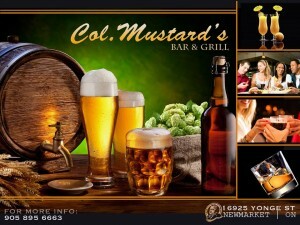 Wednesdays Col. Mustard’s in Newmarket hosts Hold’em/Fold’em Poker Tour’s free tournament. All level of players are welcome (must be at least 19yrs to play). Registration is at 6:30pm, and the tournament starts at 7pm and runs until 1 player remains (approx 3 hours). $20.00 Gift Certificate for Winner + earn points to qualify for the Vegas Vacation Prize Package. Stouffville – Thursdays Sgt. Peppers Bar & Grill in Stouffville hosts a free Hold’em/Fold’em Pub Poker Tournament. All level of players are welcome (must be 19yrs to play). Get there by 6:30pm to register. Game starts at 7pm and runs until 1 player remains (approx 3 hours). $20.00 Gift Certificate for Winner + earn points to qualify for the Vegas Vacation Prize Package. Pub Poker games are always free to play. When you attend a live event, you accept you may be photographed or videotaped from time to time. You hereby release any rights to the use of images and video captured at live events, which may be used for the promotion of the league and the host pubs. Images and video may be posted on this website, social media, or other electronic platforms. There should be no expectation of privacy when attending and/or participating in a live event.